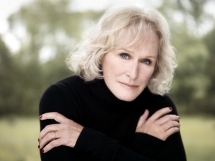 INDIANAPOLIS – Glenn Close, acclaimed actress and avid philanthropist, will speak at the Indiana University Lilly Family School of Philanthropy’s 26th Annual Symposium on Nov. 6. Close, who understands the importance of ethical, philanthropic fundraising because of her own philanthropic endeavors, will help honor the 2013 recipients of the school’s Henry A. Rosso Medal for Lifetime Achievement in Ethical Fund Raising. The honorees are Dwight F. Burlingame, Kay Sprinkel Grace and Raymond L. Handlan. On November 5, Close also will speak at the IU Bloomington campus as part of the IU College of Arts and Sciences' Themester 2013, "Connectedness: Networks in a Complex World," about Bring Change 2 Mind, the organization she founded to end the stigma and discrimination surrounding mental illness. The Lilly Family School of Philanthropy’s symposium, "Taking Fundraising Seriously: Timeless Values in a World of Change," will focus on sweeping changes in donor preferences, demographics and technology that are reshaping the fundraising environment, how these trends and innovations are impacting the way fundraising is practiced and perceived, and how fundraisers and nonprofits can best leverage these changes. Fundraising and nonprofit professionals and executives, along with national innovators and thought leaders, philanthropists and scholars, will explore the forces that will drive philanthropy and fundraising in the future. The symposium will be held at the NCAA Conference Center, 700 West Washington St. in downtown Indianapolis. Preparation, Professionalism, and Credentialing: Does It Really Matter?